As the name suggests, this is two Nourish Hampers! The perfect hamper for those who want to feed a family with the most nourishing cuts of grassfed beef. This hamper has the collagen rich cuts & those for slow cooking, but still with some sausages to throw on the BBQ and an optional beef brisket for slow cooking. For those of you interested in the most nourishment from your grass fed beef. 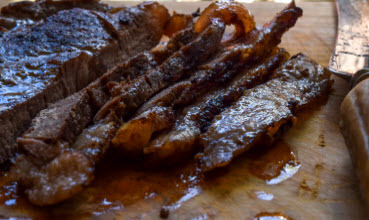 Topside steaks, ideal for stir-fries, minute steaks or casseroles. Round steak, ideal for stove top casseroles or home made pies. Blade steaks, perfect for casseroles with the bone, or can be grilled. 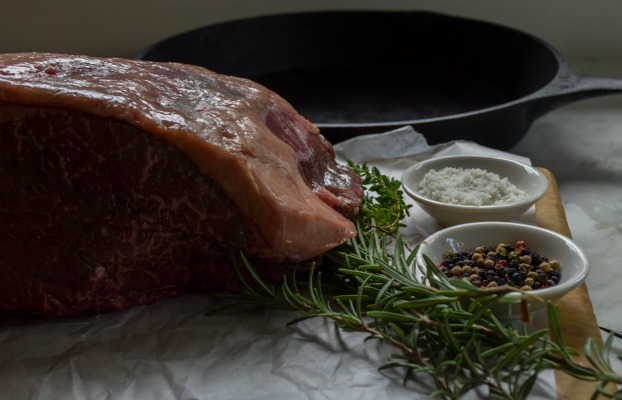 1 Roast silverside (no preservatives) – great for a pot roast or for slow oven roasting. Also great for cold lunch meat. 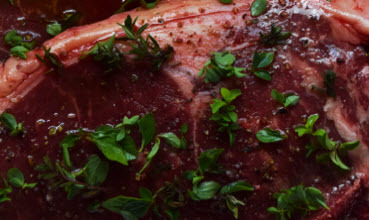 Beef short-ribs – for slow cooking, roasting and BBQing. 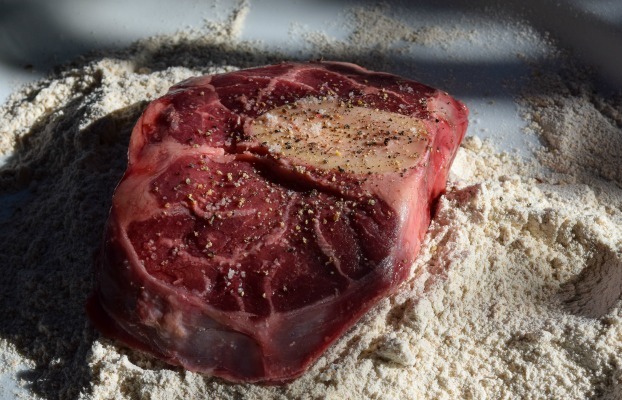 4 Osso bucco pieces for a hearty casserole with a nourishing bone. Optional Beef Brisket – approx 1.5kg -2.2kg – replaces some sausage/mince (Please indicate in the COMMENTS field when you order if you would like brisket included OR added as an extra). See our FAQ’s for full details about delivery charges to various locations. * There may be a little variation in hamper weights & contents – we try to get it as close to the weight and listed contents as possible, however considering there is variation of size and yield from one cow to another, sometimes we have to adjust things just a little! Place your order online today and we’ll be in touch very soon to arrange your delivery and provide you with an invoice for payment. Please check your junk folder if you don't see our reply within 3 days. BONES*No ThanksBones 2kgBones 4kgBones 6kgBones 8kgBones 10kg OLIVE OIL*No ThanksSorry - Sold out! How is our grass fed beef packed? You’ll receive your order portioned and vacuum sealed – no leaks, no mess, no fuss – ready to pop straight in the freezer! Each pack is clearly labelled – with the cut, the weight and the fresh & frozen best before dates. Your hamper is delivered to you refrigerated in a sealed recyclable box. You also have the option to add grass fed beef bones to your hamper order, when available! Bones are $5 per kilogram, 2kg minimum (6-8 bones). We are a family owned farm (not a factory farm) and we have our artisan grass fed beef hampers processed and packed usually once a month, sometimes twice. You can order at any time… it just may then be a few weeks of anticipation until your hamper arrives. When you order, we will let you know the likely delivery date. This will give you a bit of time to clean the freezer out. You can learn more about delivery areas & details, payments & other FAQ’s here. Thank you Derek, the meat is amazing. So tender and tasty. It is a real pleasure to eat the various cuts. My favourite is any of the juicy steaks fried in a hot pan. We LOVE the sausages, we have had them for dinner 3 times this week :). We have also had the ribs for dinner, slow cooked and with a home made BBQ marinade. Turned out amazing. We’re loving our meat! And the recipe for the beef rendang using the silverside, brilliant! We all loved it, even the 5 year old. Sausages yum, everything yum!